Having a full inventory of desktops, laptops, mobile devices and all of the computer networking equipment can be tricky. Managing assets without accurate system information often creates chaos. Without proper tracking, you won’t know where your systems are located and who has access to what machines. From the point of request to the retirement stage, hardware asset managers need to efficiently utilize all of an organization’s assets by having insight into the processes that discover, normalize, track and report data. The chaos and uncertainty of not knowing what data you have, where it is stored and how its connected to your network can be avoided by using an automated discovery system. 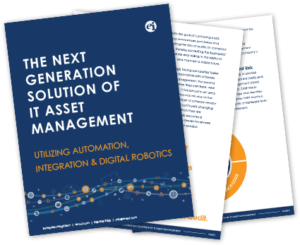 Here are 5 key ways that your hardware assets can be more easily managed through an automated ITAM system. Every asset manager needs to have full visibility into their IT environment to know what assets they have available. Data Center – Effective discovery tools utilize automation to detect servers, hubs, switches and routers and creates relationship reports. So that you can gain insight into the IT ecosystems and adapt to changing business needs and eliminate disruptions. Desktop – End users need a dynamic work environment and IT needs to manage the hardware and software assets to provide security. Making asset managers aware of what applications are running on the desktop allows them to reduce labor and administration as well as costs due to data loss and downtime. Mobile Platforms – Integrating mobile platforms with internal data sources involves push notifications, user authentication, and data and file storage solutions. Knowing how these requirements fit into your internal systems is necessary to have an efficient working environment. All business processes require hardware. Purchase orders and invoices received provide a view of the hardware that has been provisioned, and your discovery tool output needs to be able to verify how the asset was purchased, where it is located and the status of the machine – leased or owned. Through purchase orders and invoices, hardware can be tracked, inventoried and monitored so that you know what has been provisioned and deployed. Even though purchase orders and invoices provide a clearer picture of what hardware you have in your organization, using discovery tools enables you to see how those assets are deployed and where they are currently located. Automating the monitoring of inventoried devices enables IT managers to verify hardware usage and identify assets that can be re-deployed and reused, which saves costs and extends the life of the asset. Location tracking finds non-registered and non-networked hardware as well as any devices that are not authorized to access your network which will assure the security of your systems. The data retrieved would help you understand how employees use specific applications and connect to systems throughout the organization. Prior to inputting raw data gained from the discovery process, the data will need to be normalized to show details about the hardware assets in your environment. An exceptional discovery tool should be able to properly manage data by determining multiple classes of hardware and recognizing makes, models, and device types, as well as configuration and component attributes. The data pulled from this discovery will provide you the normalized hardware inventory data you need to download to and track assets from your ITAM repository. A critical component of obtaining that understanding and usage data involves knowing how your computers are tied together. This information can be found through application mapping. Visually depicting how the systems are tied together shows detailed data on application usage through monitoring. Application mapping allows an organization to be compliant based on reconciliation of purchases to installations and by obtaining information on license usage. If licenses are not actively used, there may be opportunities to save by harvesting and re-allocating licenses. Not only is knowledge of license usage helpful in saving money but having software in use allows it to be patched and updated, thereby making it more secure. Application mapping also provides details for main operating systems such as Windows, UNIX, Linux, and Mac as well as for mobile platforms such as Android and Blackberry. Reports include complete details not only about what software is installed on your systems and how those are being used but also shows configuration and any attached peripheral devices. 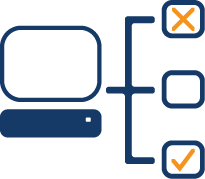 An automated process for mapping, scanning and monitoring compiles all the system data into detailed reports that can then be integrating into your IT Asset Management system where all of your organization’s hardware assets can be tracked. 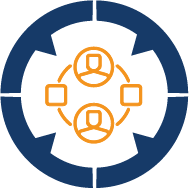 Support teams and the automated reports that a properly managed ITAM system could generate would show not only the status of your assets but the latest information on what’s happening in the IT environment. Reports can be compiled on various areas of the organization on computers requiring repairs, reasons for those repairs. Reports also reveal in what stage of the lifecycle the hardware resides. Through automated scans, data could also be gathered on current security issues such as internet scams and rampant viruses. Support teams will also have insight into what is running on individual machines and intercept any possible incompatibility issues. This group would be the first line of defense against any new issues, and with automated reports, they would have advanced warning and the ability combat those issues. Having complete reports on your hardware assets, knowing what applications are running and how an asset is connected to other systems throughout your company will enable you to comprehensively manage those assets. 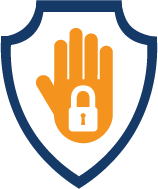 The biggest decisions you will have to make regarding your hardware assets will relate to security, cost savings and time management. By automating the discovery, normalization, reporting, and usage, you can make the best decisions for your IT department. 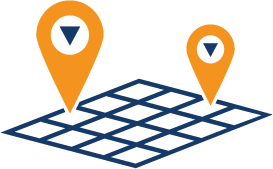 Accurate data allows you to know when the asset needs to be refreshed, returned to the leasing company or reallocated to another area of your organization. Making these types of decisions and knowing the status of your assets provides your support team the data needed to secure your networks. Enterprise Integration’s ITAM systems – SDI and DRE – integrate with Eracent’s ITMC Discovery and Configuration Management Database (CMDB) to provide a secure environment through automated monitoring, discovery and normalization. Avoid chaos, remove the extra work and expense by having insight into your hardware asset environment. Contact Enterprise Integration to see how knowing the status of your assets can save you time and money all while increasing productivity.